Samsung finally released their Qi wireless charging back for the Galaxy S4 back in June, which we took a brief look at. Wireless charging has always been a nice add-on to phones, assuming you are willing to pay the price for the setup that typically includes a $50 charging pad along with a $40 wireless charging-ready back plate. Well, unless your phone has wireless charging built-in, then all you need is the pad. Either way, it’s not necessarily thought to be a reasonably priced charging alternative, but more of a luxury item. But what if you could get yourself into the pad for 50% off or $25? You can. 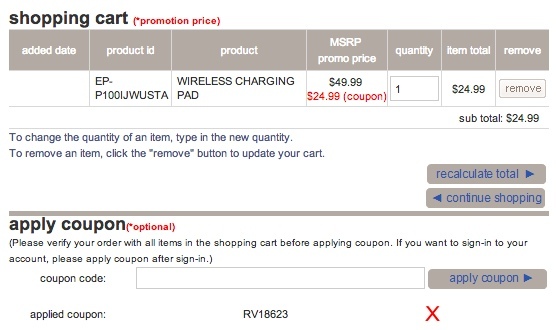 Using coupon code RV18623 during checkout in Samsung’s online store, you can pickup the wireless charging pad for the Galaxy S4 for $24.99. Keep in mind that this wireless charging pad is built to the Qi standard, so it’s not specific to the GS4, Samsung has simply branded it that way. You know that brand new 2013 Nexus 7 that you just picked up? It works on the pad. I’m using them together right now. 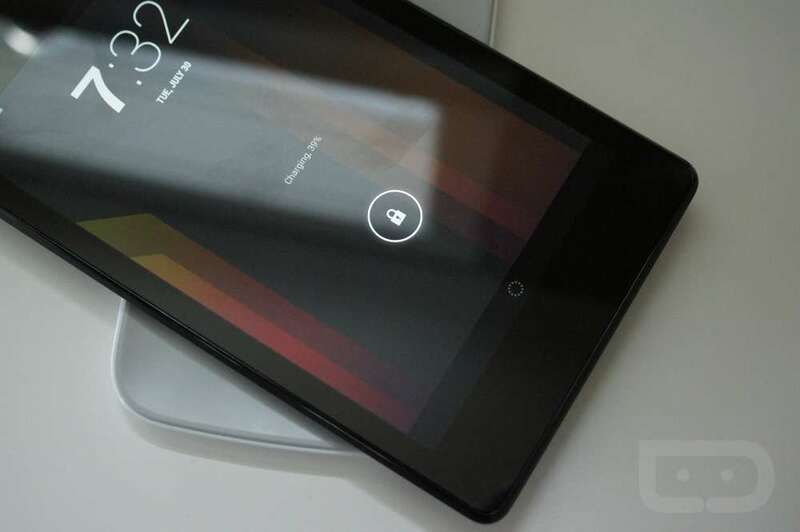 This charging pad should work with other devices that have wireless charging built-in like the DROID DNA. For $25, I don’t think you’ll find a better time to get into wireless charging.